Beyond providing data for all 32 NFL teams, PFF also supports network broadcasters with game-preview packets that are used to enhance the in-game experience for fans and viewers. 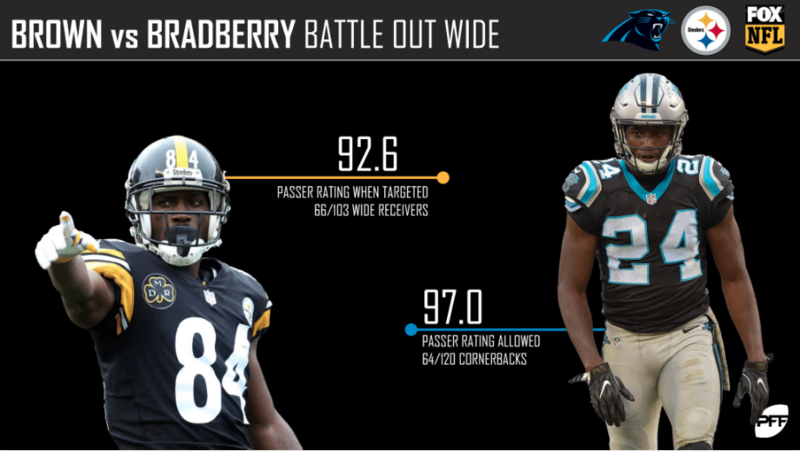 This Panthers-Steelers preview features the same information our broadcast partners use for team research and in-game production. 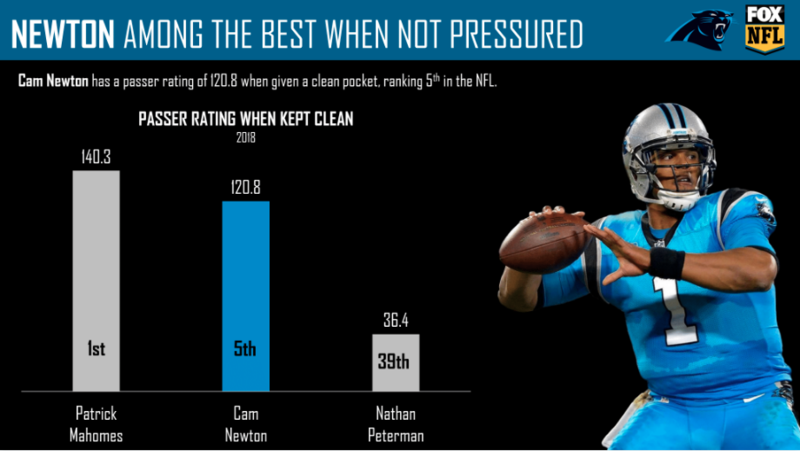 Cam Newton, often known for being a versatile quarterback, is excelling from a clean pocket this year. 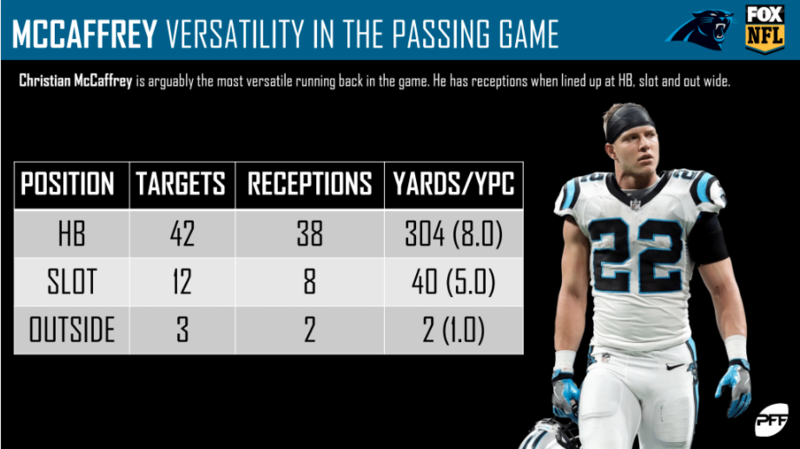 Christian McCaffrey has logged receptions from the backfield, from the slot, and as an outside receiver this year. 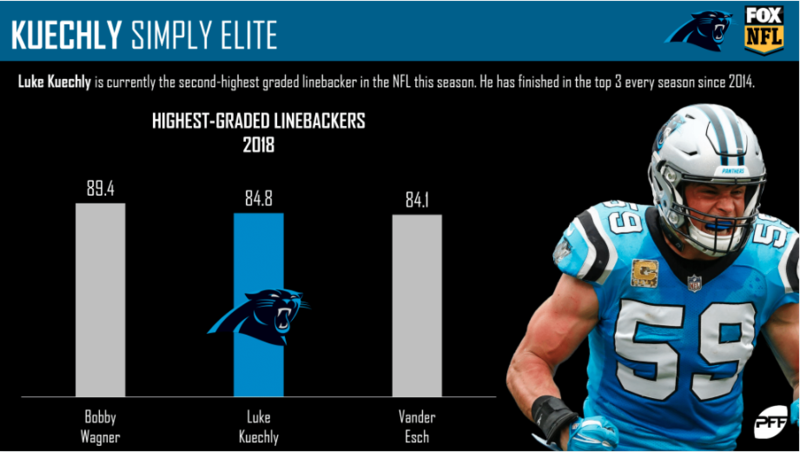 Luke Kuechly is no stranger to being a top-graded linebacker and 2018 is no different. The Panthers’ defensive leader owns the second-highest grade among linebackers. 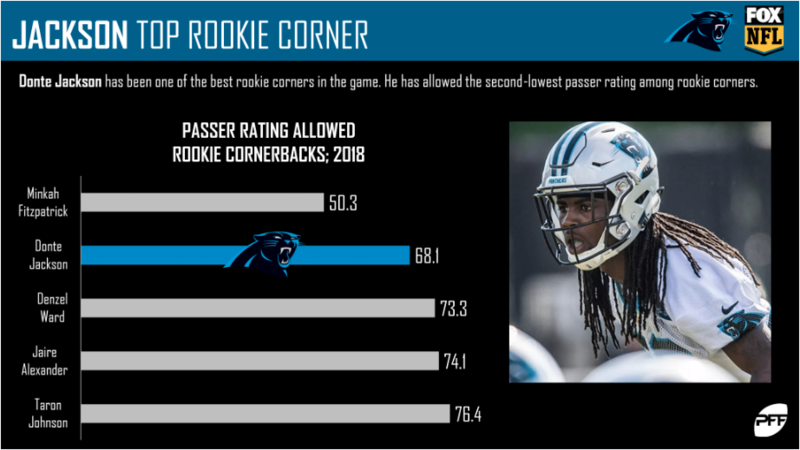 Despite being the 10th cornerback selected in the 2018 draft, rookie Donte Jackson is providing immense value to the Panthers secondary. 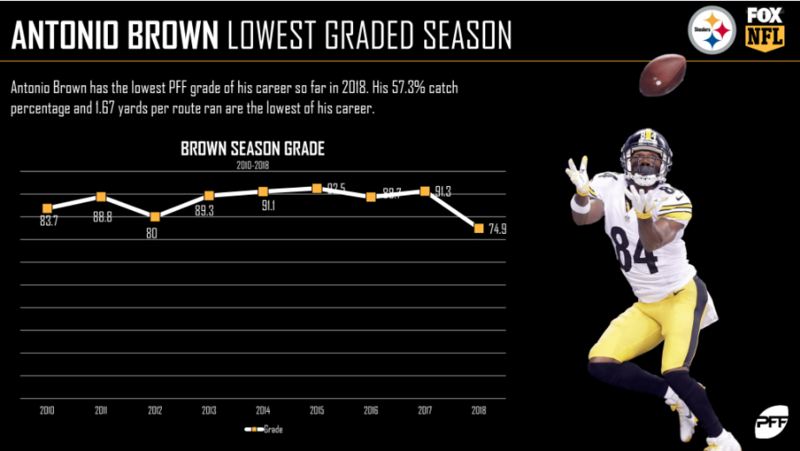 Antonio Brown has been one of the premier players at the wide receiver position over his career, but 2018 hasn’t proven alike. Going into Week 10, Brown has career lows in overall grade (74.9), catch percentage (57.3%), and yards per route run (1.67). 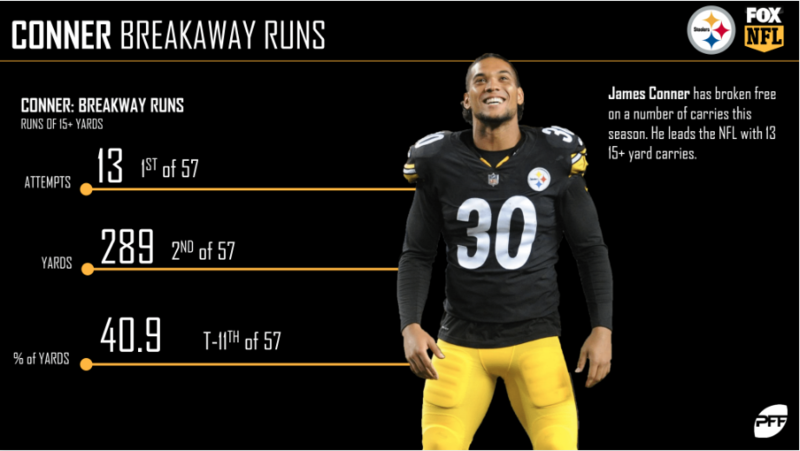 James Conner is proving to be much more than just a capable backup. Conner’s 13 rushing attempts of 15+ yards are the most of any running back this season. 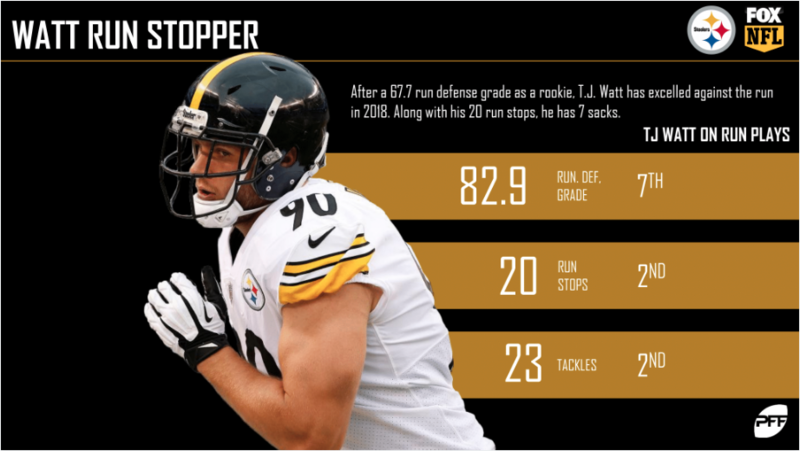 The Steelers own the fourth-highest team run-defense grade thus far in 2018, and T.J. Watt is a big reason why. 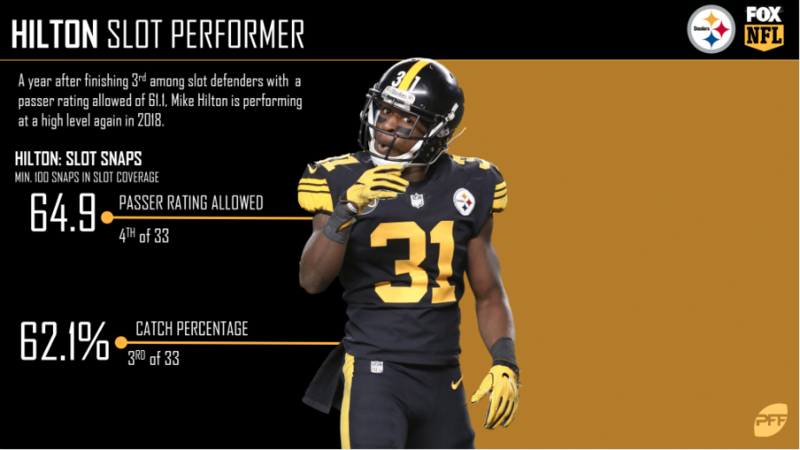 Mike Hilton is having another strong year guarding in slot coverage. Of all cornerbacks with 100 snaps in the slot, Hilton ranks in the top five of both passer rating allowed and catch percentage.